Welcome to the last part of our tutorial series! 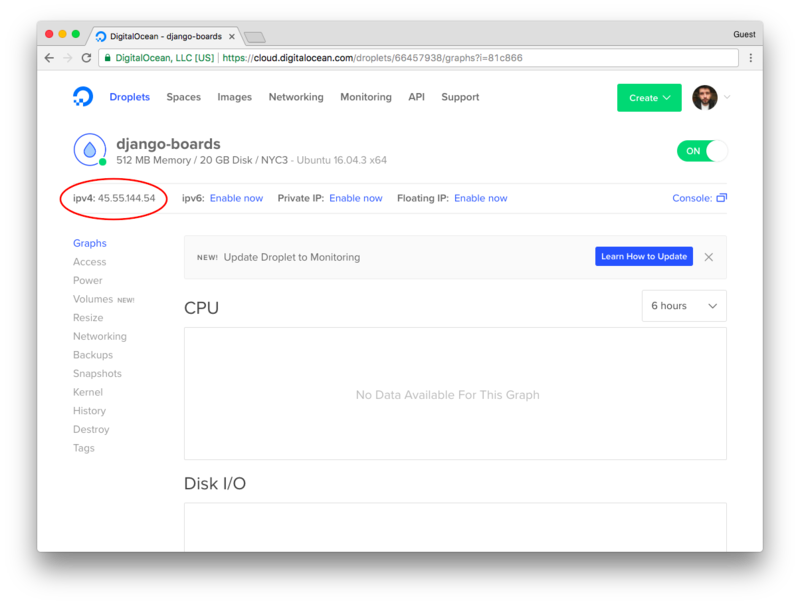 In this tutorial, we are going to deploy our Django application to a production server. We are also going to configure an Email service and HTTPS certificates for our servers. 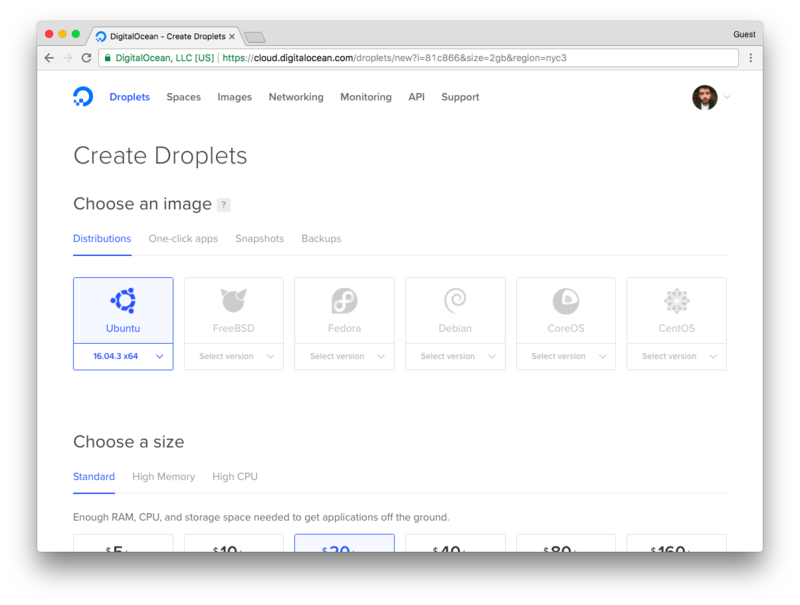 At first, I thought about given an example using a Virtual Private Server (VPS), which is more generic and then using one Platform as a Service such as Heroku. But it was too much detail, so I ended up creating this tutorial focused on VPSs. Our project is live! 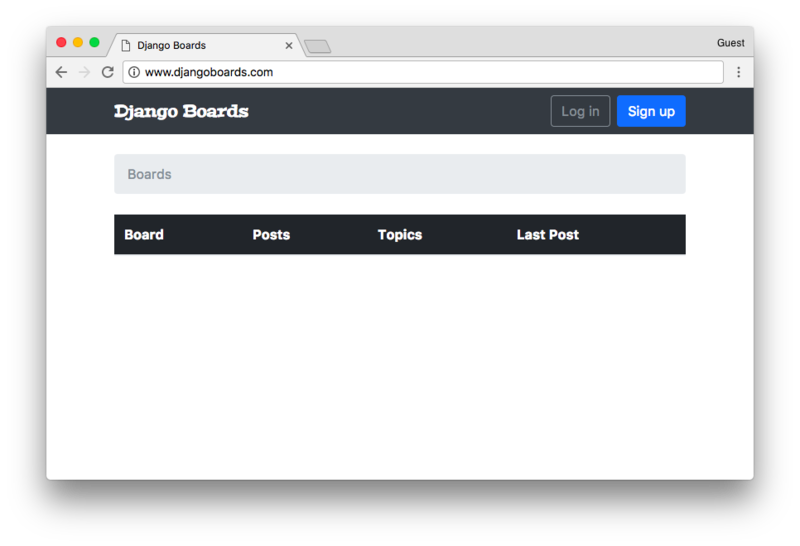 If you want to check online before you go through the text, this is the application we are going to deploy: www.djangoboards.com. Version control is an extremely important topic in software development. Especially when working with teams and maintaining production code at the same time, several features are being developed in parallel. No matter if it’s a one developer project or a multiple developers project, every project should use version control. There are several options of version control systems out there. Perhaps because of the popularity of GitHub, Git become the de facto standard in version control. So if you are not familiar version control, Git is a good place to start. There are many tutorials, courses, and resources in general so that it’s easy to find help. GitHub and Code School have a great interactive tutorial about Git, which I used years ago when I started moving from SVN to Git. It’s a very good introduction. This is such an important topic that I probably should have brought it up since the first tutorial. 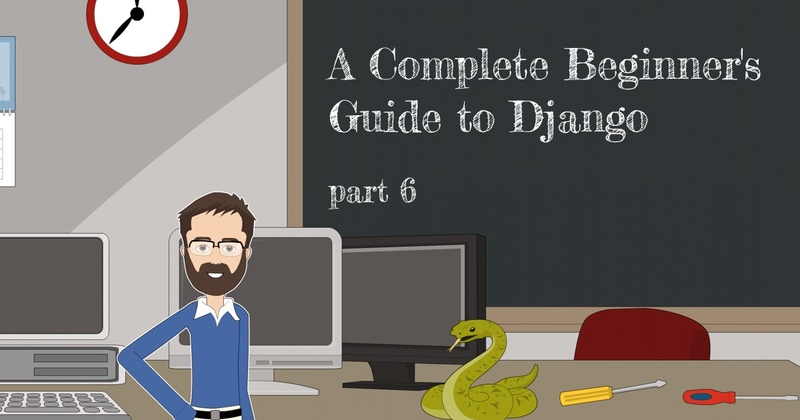 But the truth is I wanted the focus of this tutorial series to be on Django. If all this is new for you, don’t worry. It’s important to take one step at a time. Your first project won’t be perfect. It’s important to keep learning and evolving your skills slowly but with constancy. A very good thing about Git is that it’s much more than just a version control system. There’s a rich ecosystem of tools and services built around it. Some good examples are continuous integration, deployment, code review, code quality, and project management. 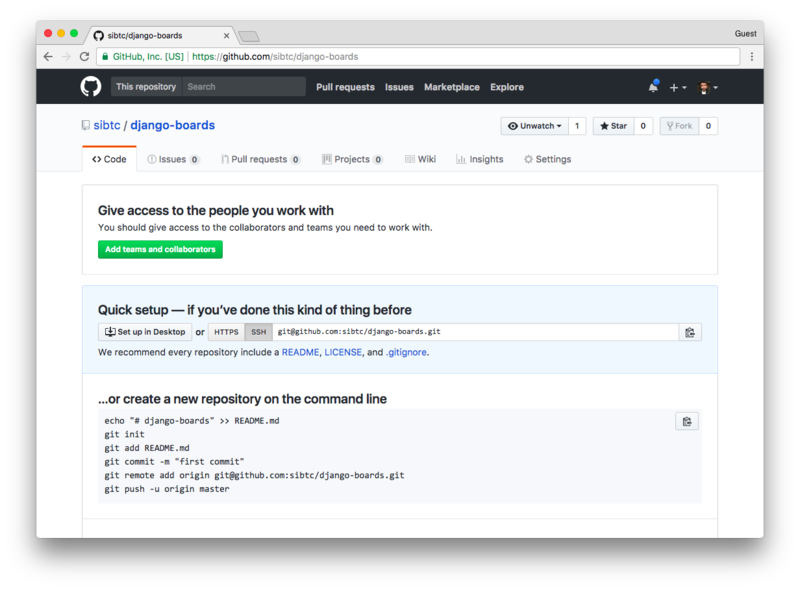 Using Git to support the deployment process of Django projects works very well. It’s a convenient way to pull the latest version from the source code repository or to rollback to a specific version in case of a problem. There are many services that integrate with Git so to automate test execution and deployment for example. If you don’t have Git installed on your local machine, grab the installed from https://git-scm.com/downloads. git config --global user.name "Vitor Freitas"
Before we proceed in adding the source files, create a new file named .gitignore in the project root. This special file will help us keep the repository clean, without unnecessary files like cache files or logs for example. You can grab a generic .gitignore file for Python projects from GitHub. Make sure to rename it from Python.gitignore to just .gitignore (the dot is important!). Notice the dot here. The command above is telling Git to add all untracked files within the current directory. Always write a comment telling what this commit is about, briefly describing what have you changed. 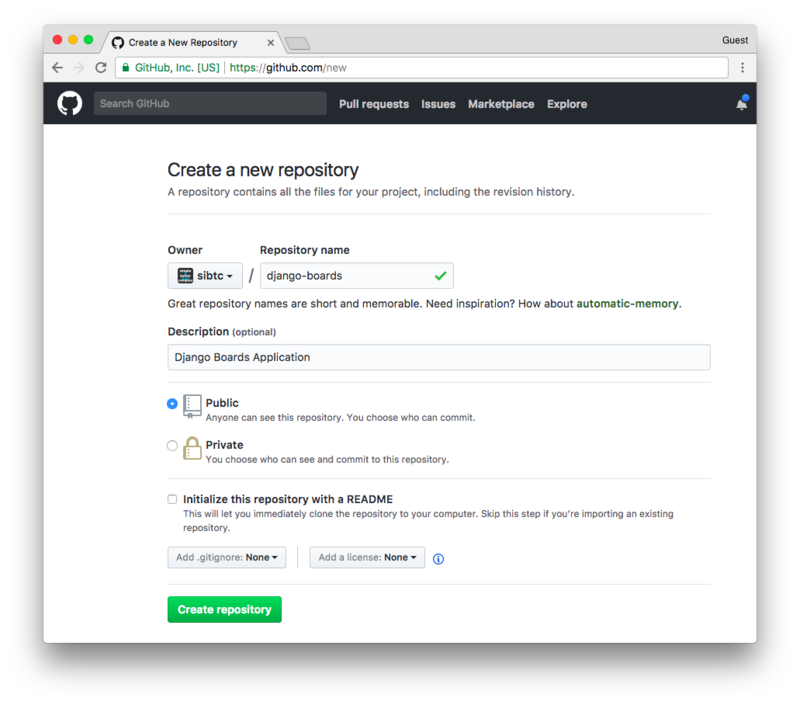 Now let’s setup GitHub as a remote repository. First, create a free account on GitHub, then confirm your email address. After that, you will be able to create public repositories. Compressing objects: 100% (81/81), done. Writing objects: 100% (84/84), 319.70 KiB | 0 bytes/s, done. remote: Resolving deltas: 100% (10/10), done. I create this repository just to demonstrate the process to create a remote repository with an existing code base. 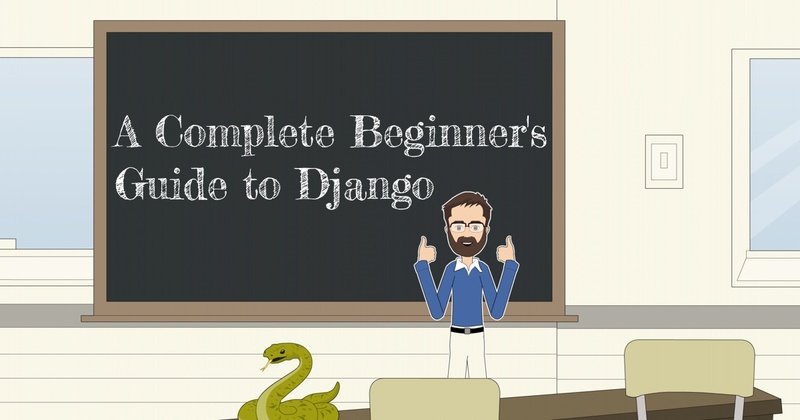 The source code of the project is officially hosted in this repository: https://github.com/sibtc/django-beginners-guide. No matter if the code is stored in a public or private remote repository, sensitive information should never be committed and pushed to the remote repository. That includes secret keys, passwords, API keys, etc. Configurations that are specific to a given environment. For that, there’s a great utility library called Python Decouple that I use in every single Django project I develop. It will search for a local file named .env to set the configuration variables and will fall back to the environment variables. It also provides an interface to define default values, transform the data into int, bool, and list when applicable. It’s not mandatory, but I really find it a very useful tool. And it works like a charm with services like Heroku. |    |-- .env        <-- here! The .env file is ignored in the .gitignore file, so every time we are going to deploy the application or run in a different machine, we will have to create a .env file and add the necessary configuration. Notice that in the DEBUG configuration we have a default, so in production we can ignore this configuration because it will be set to False automatically, as it is supposed to be. Now the ALLOWED_HOSTS will be transformed into a list like ['.localhost', '127.0.0.1'. ]. Now, this is on our local machine, for production we will set it to something like ['.djangoboards.com', ] or whatever domain you have. This particular configuration makes sure your application is only served to this domain. It’s a good practice to keep track of the project’s dependencies, so to be easier to install it on another machine. I kept the pytz==2017.2 out, because it is automatically installed by Django. git commit -m "Add requirements.txt file"
If we are going to deploy a Django application properly, we will need a domain name. 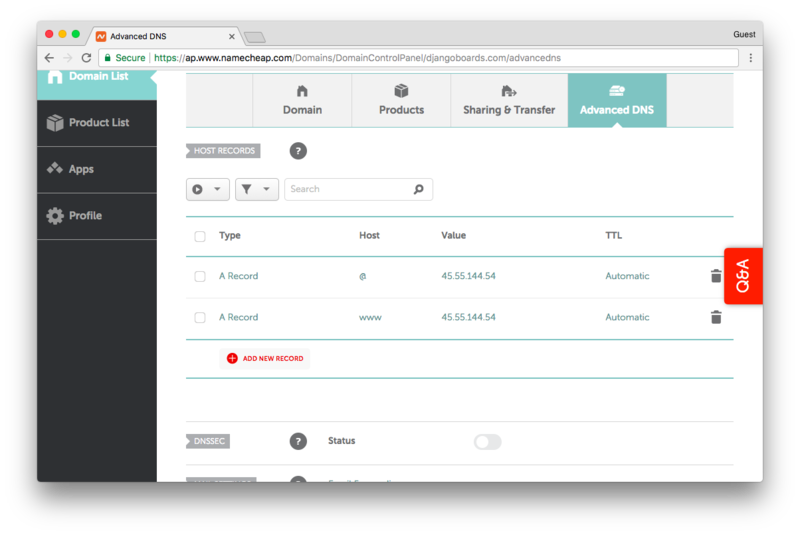 It’s important to have a domain name to serve the application, configure an email service and configure an https certificate. Lately, I’ve been using Namecheap a lot. You can get a .com domain for $8.88/year, or if you are just trying things out, you could register a .xyz domain for $0.99/year. Anyway, you are free to use any registrar. 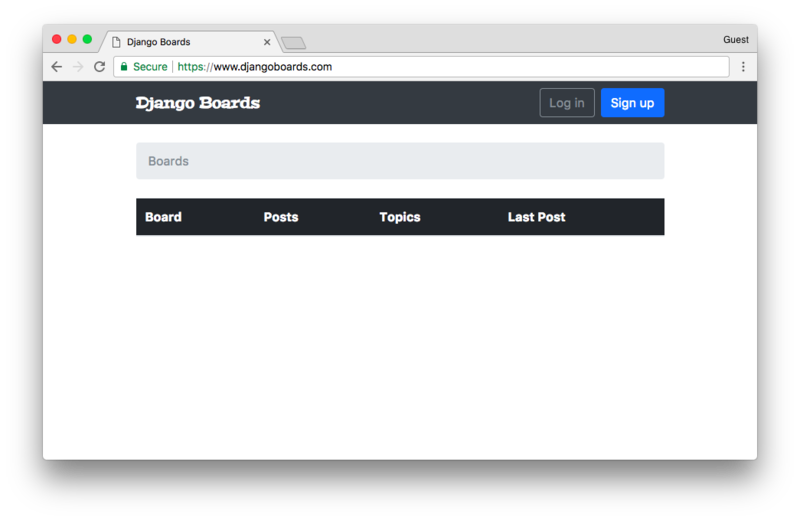 To demonstrate the deployment process, I registered the www.DjangoBoards.com domain. 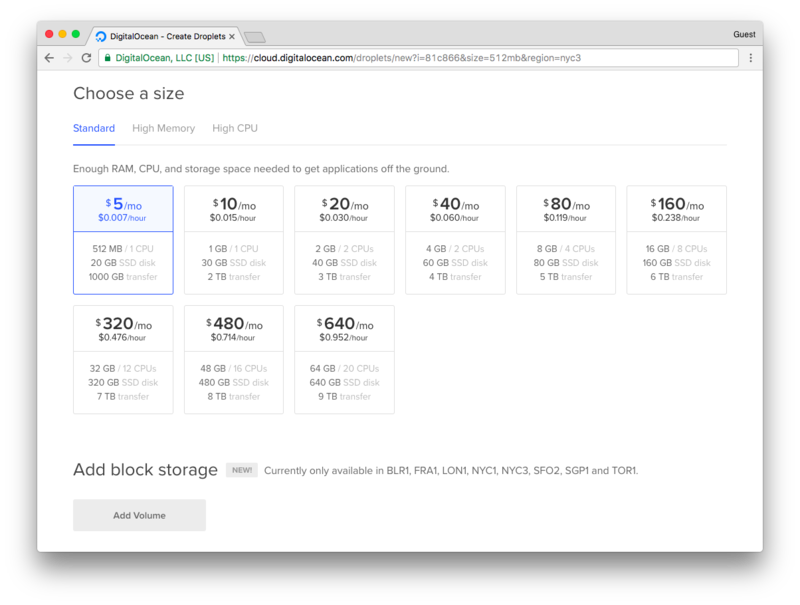 The cloud is our Virtual Private Server provided by Digital Ocean. 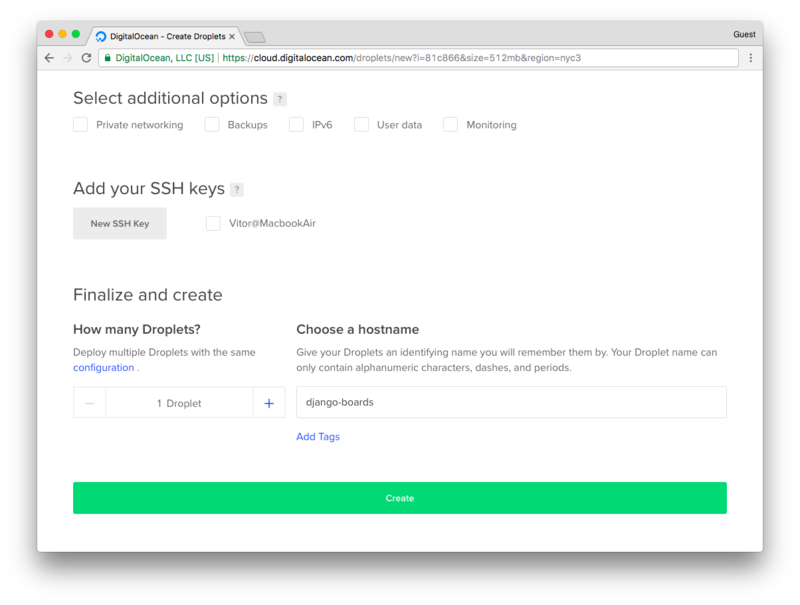 You can sign up to Digital Ocean using my affiliate link to get a free $10 credit (only valid for new accounts). Upfront we will have NGINX, illustrated by the ogre. NGINX will receive all requests to the server. But it won’t try to do anything smart if the request data. All it is going to do is decide if the requested information is a static asset that it can serve by itself, or if it’s something more complicated. If so, it will pass the request to Gunicorn. The NGINX will also be configured with HTTPS certificates. Meaning it will only accept requests via HTTPS. If the client tries to request via HTTP, NGINX will first redirect the user to the HTTPS, and only then it will decide what to do with the request. We are also going to install this certbot to automatically renew the Let’s Encrypt certificates. Gunicorn is an application server. Depending on the number of processors the server has, it can spawn multiple workers to process multiple requests in parallel. 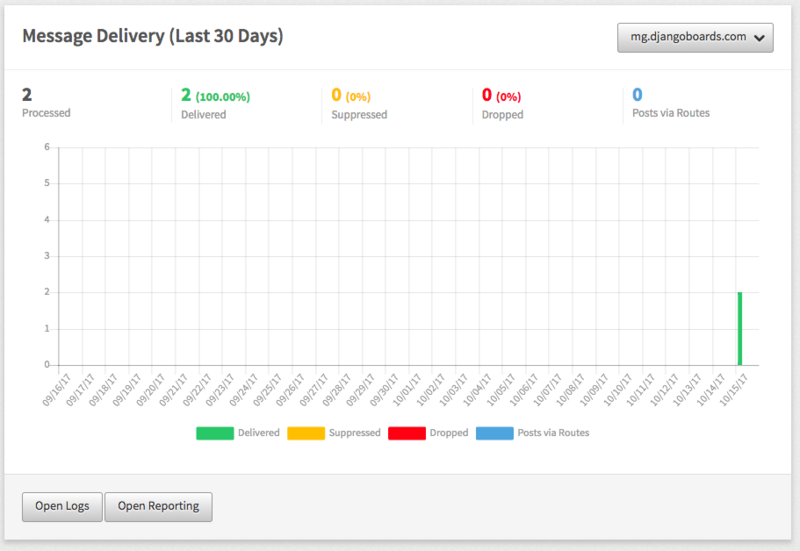 It manages the workload and executes the Python and Django code. Django is the one doing the hard work. It may access the database (PostgreSQL) or the file system. But for the most part, the work is done inside the views, rendering templates, all those things that we’ve been coding for the past weeks. After Django process the request, it returns a response to Gunicorn, who returns the result to NGINX that will finally deliver the response to the client. We are also going to install PostgreSQL, a production quality database system. Because of Django’s ORM system, it’s easy to switch databases. The last step is to install Supervisor. It’s a process control system and it will keep an eye on Gunicorn and Django to make sure everything runs smoothly. If the server restarts, or if Gunicorn crashes, it will automatically restart it. You may use any other VPS (Virtual Private Server) you like. The configuration should be very similar, after all, we are going to use Ubuntu 16.04 as our server. If you have an SSH key, you can add it to your account. Then you will be able to log in the server using it. Otherwise, they will email you the root password. Before we log in to the server, let’s point our domain name to this IP address. This will save some time because DNS settings usually take a few minutes to propagate. So here we added two A records, one pointing to the naked domain “djangoboards.com” and the other one for “www.djangoboards.com”. We will use NGINX to configure a canonical URL. Set the new password, and let’s start to configure the server. If you get any prompt during the upgrade, select the option “keep the local version currently installed”. Usually, I just pick the name of the application. Enter a password and optionally add some extra info to the prompt. psql -c "ALTER USER u_boards WITH PASSWORD 'BcAZoYWsJbvE7RMgBPzxOCexPRVAq'"
Here is the syntax of the database URL: postgres://db_user:db_password@db_host:db_port/db_name. This command copy all the static assets to an external directory where NGINX can serve the files for us. More on that later. 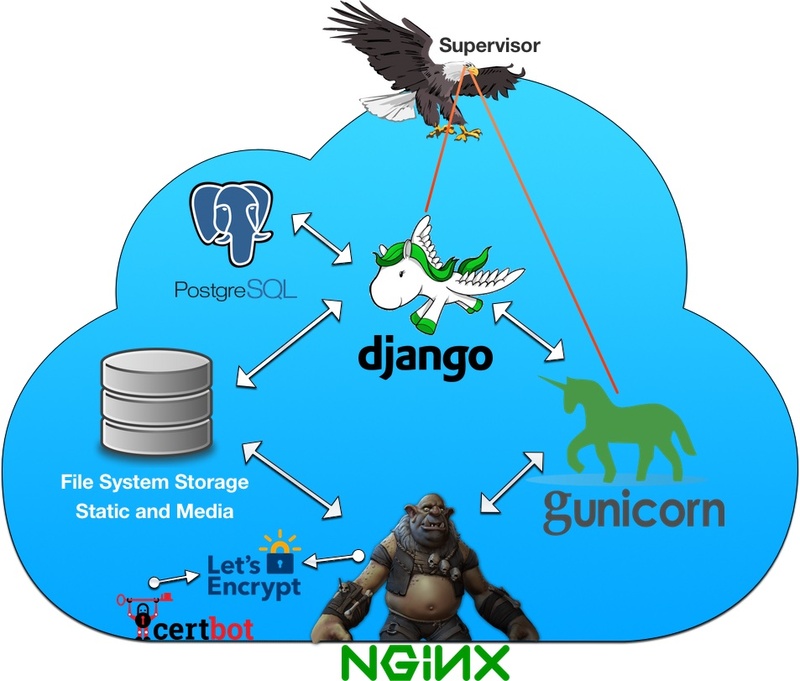 So, Gunicorn is the one responsible for executing the Django code behind a proxy server. This script will start the application server. 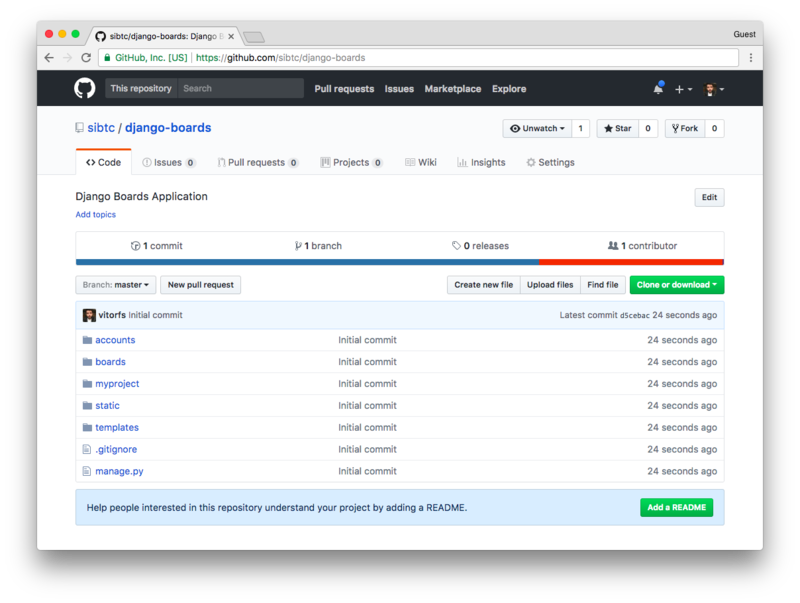 We are providing some information such as where the Django project is, which application user to be used to run the server, and so on. The staticfiles folder was created by the collectstatic command. At this point, if the DNS have already propagated, the website should be available on the URL www.djangoboards.com. 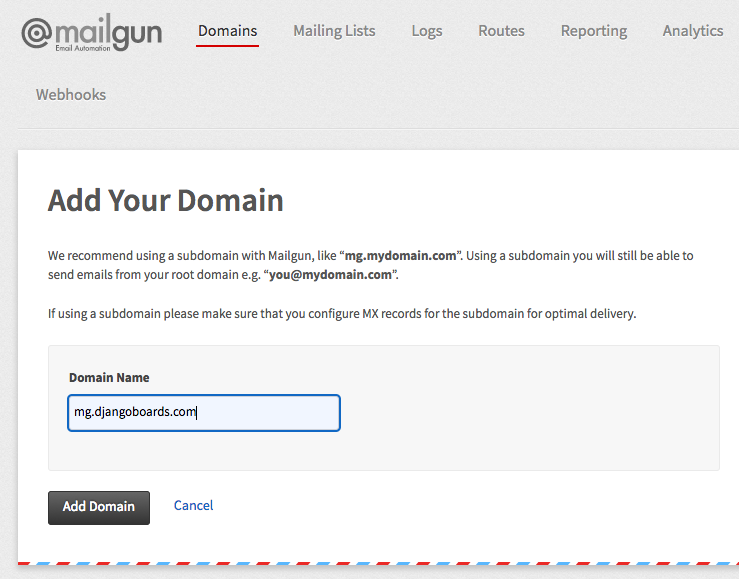 One of the best options to get started is Mailgun. It offers a very reliable free plan covering 12,000 emails per month. Sign up for a free account. Then just follow the steps, it’s very straightforward. You will have to work together with the service you registered your domain. In my case, it was Namecheap. Now we need to have some patience. Sometimes it takes a while to validate the DNS. Meanwhile, we can configure the application to receive the connection parameters. 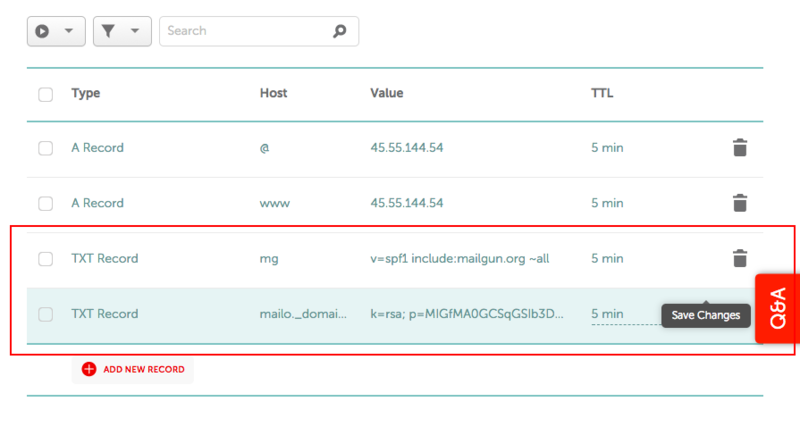 You can find your credentials in the Domain Information section on Mailgun. Edit the .env file with the email credentials. Now let’s protect our application with a nice HTTPS certificate provided by Let’s Encrypt. Choose 2 to redirect all HTTP traffic to HTTPS. This command will run every day at 4 am. All certificates expiring within 30 days will automatically be renewed. Thanks a lot for all those who followed this tutorial series, giving comments and feedback! I really appreciate! This was the last tutorial of the series. I hope you enjoyed it! Even though this was the last part of the tutorial series, I plan to write a few follow-up tutorials exploring other interesting topics as well, such as database optimization and adding more features on top of what we have at the moment.